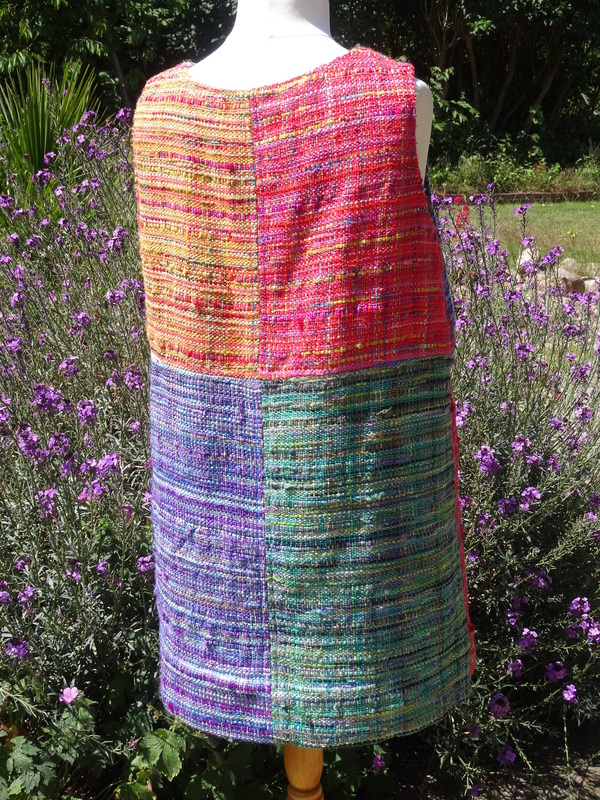 The dress is made up from two separate woven lengths. 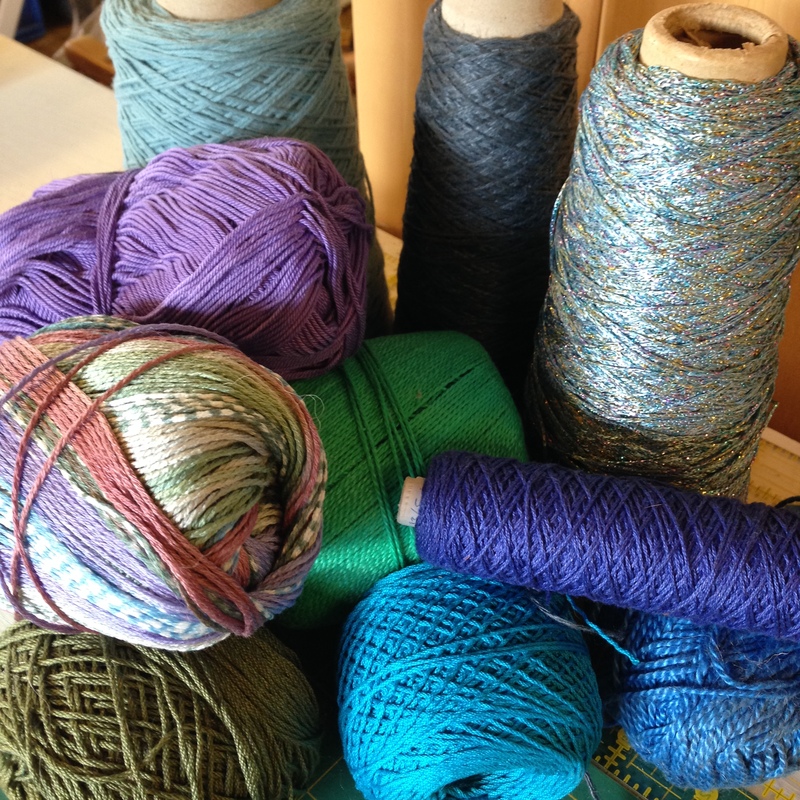 The first warp was made from blue, green and purple yarns. 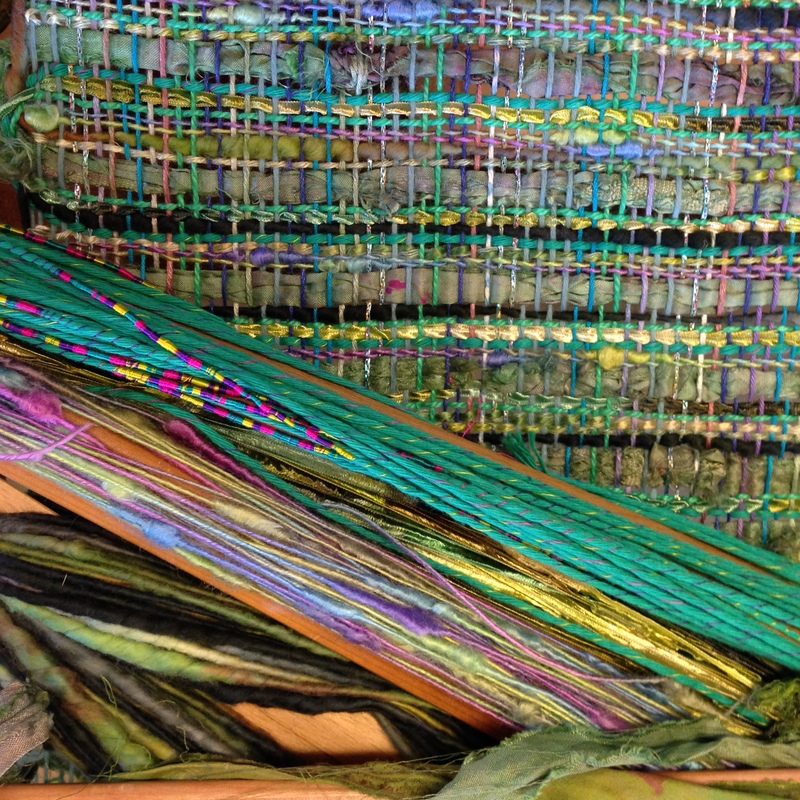 This was then woven with a mixture of green yarns to give a piece 60″ (152cm) in length. The rest of the first warp was woven with purple yarns to give the same length as the green. They are woven all as one piece. Although the warp and weft are very varied and the weaving quite loose, after washing in hand hot water and line drying the fabric will come together and be easy to sew. 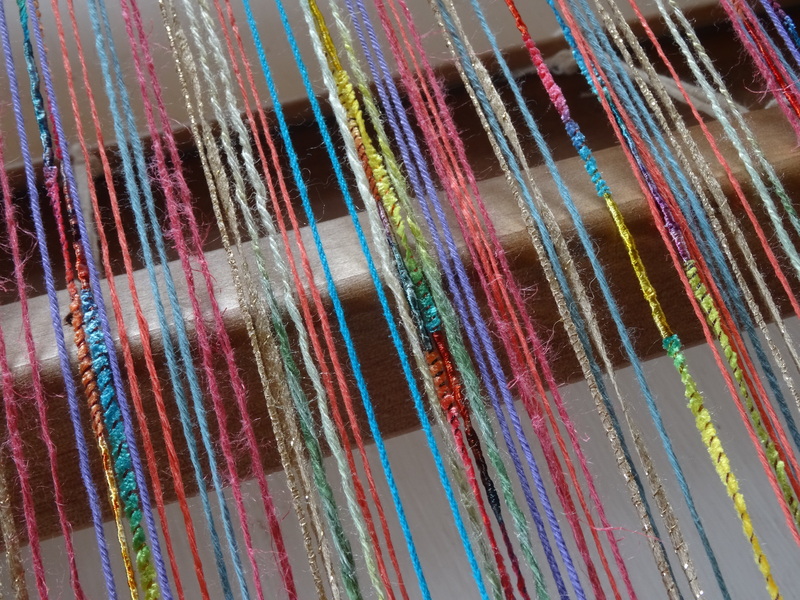 The second warp had more pinks, reds and yellows in it as well as a little turquoise and mauve. The first half of this warp was woven with reds and pinks and the second half of the same warp was woven with yellows, oranges and some reds. 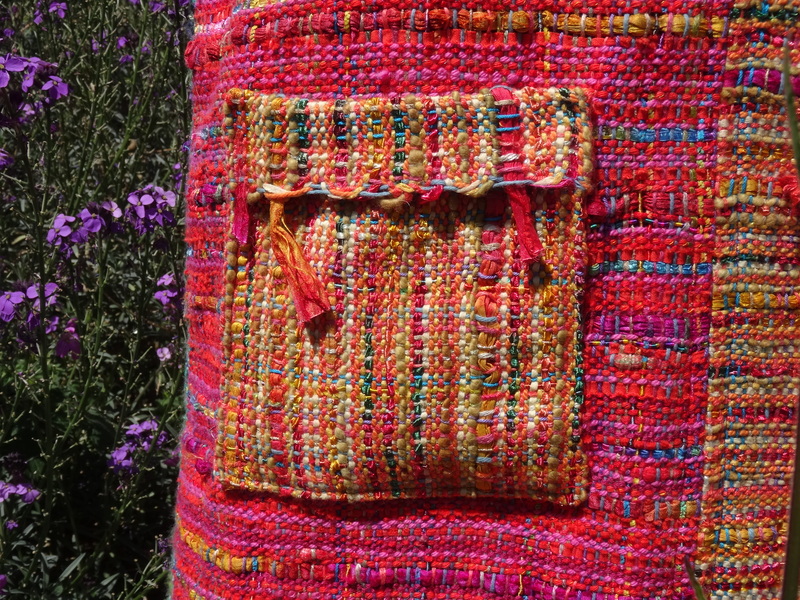 This is the pink and red weaving using up to 6 or 7 different yarns, mostly cottons and linens and some sari silk. 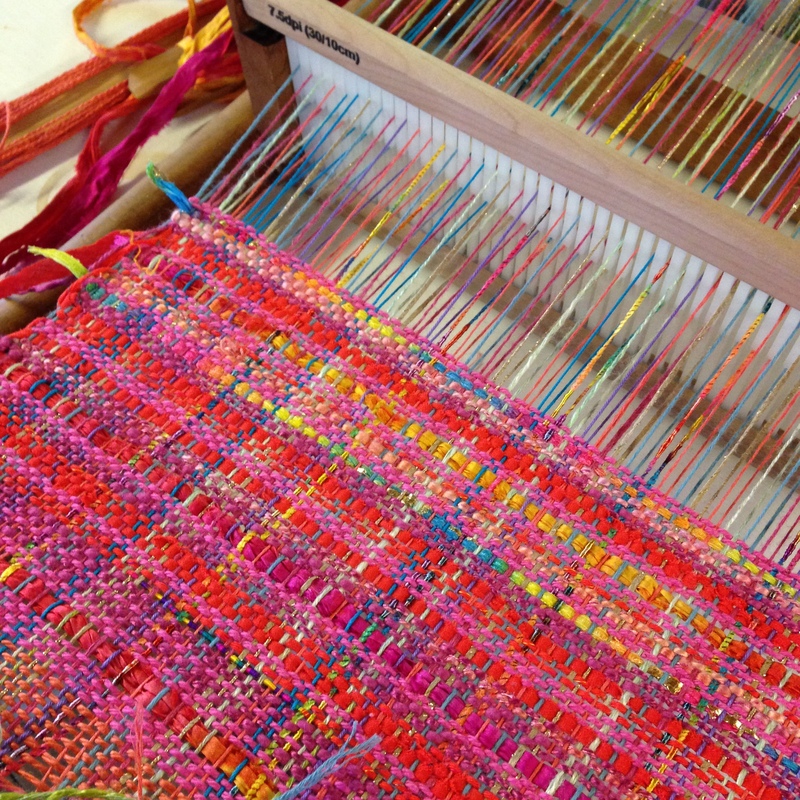 The loom is 16″ (40cm) wide with a 7.5dpi (30/10c) reed which really works with all these different yarns. This 16″ (40cm) loom will give you the right width of fabric to make the dress length for a 12-14 size fit, making the most of the selvedges, so less wastage. 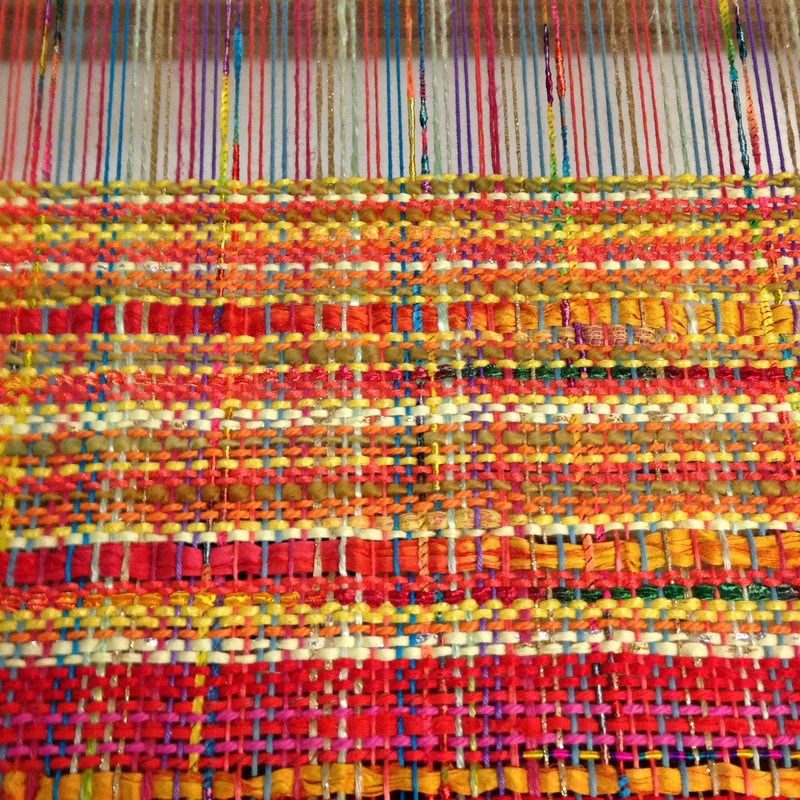 Here’s the yellow and orange weaving. It was such fun to use up lots of odd balls of precious yarns that I had been hoarding for many years, never quite daring to use them up! At last they were free. Using a sewing pattern I cut out the bodice and skirt parts of the dress in their separate colours and applied a thin strip of IRON-ON WOVEN INTERFACING to all the cut edges before over-locking. This gives the fabric a lovely firm edge which will not fray or collapse and makes sewing the garment together very easy. 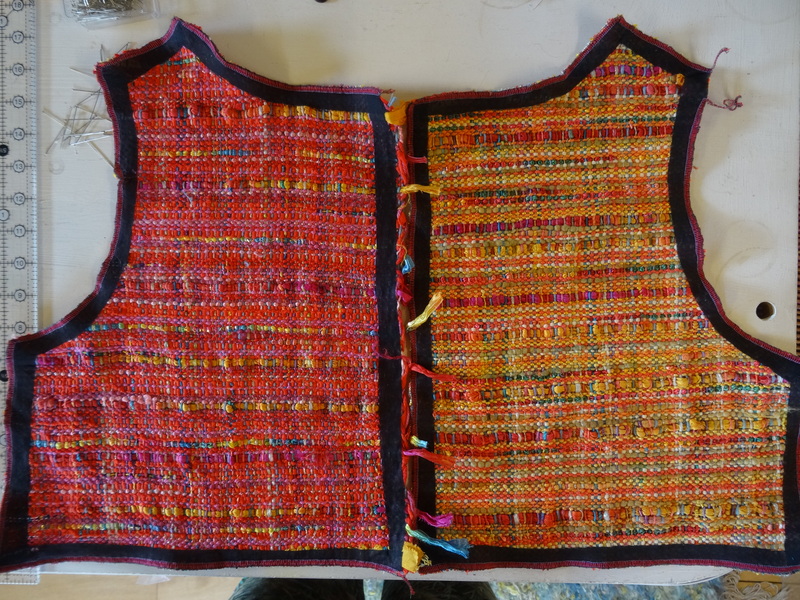 Even thick threads like the sari silk are held in place. By sewing each section together the dress finally starts to take shape. I always like to have a pocket to keep my lipstick in and the odd sweet, so this small piece, turned on it’s side shows off the selvedge and the silk yarn. I have lined the pocket for strength and lined the dress too with muslin which keeps it light. 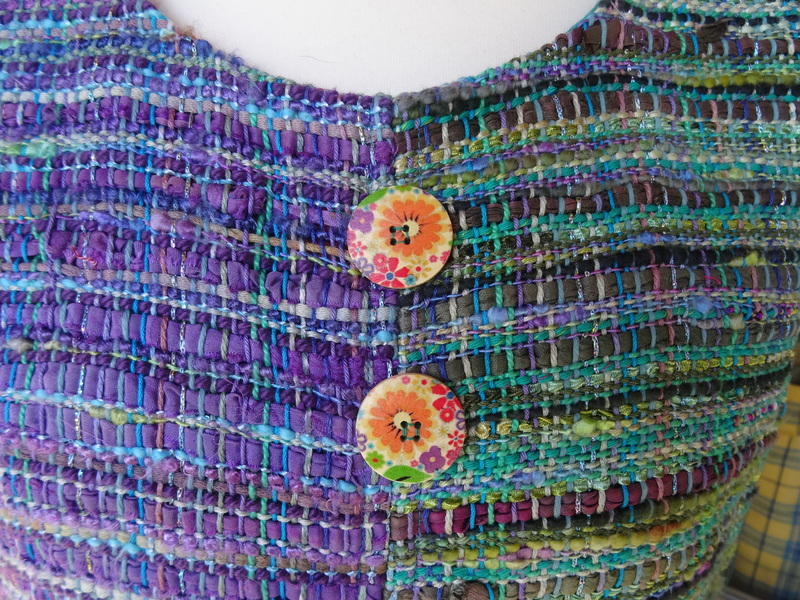 The final touch are these lovely wooden buttons on the bodice. Some of you may have seen me wearing this dress at Woolfest in Cumbria and more recently at Fibre-East in Bedford. It was really nice to see so many friendly faces having a happy time despite the downpours. We look forward to meeting many more of you at YARNDALE IN SKIPTON IN SEPTEMBER. happy weaving to you all. That dress is very clever! A delight to look at too. Good job.